All of our Last Minute Deals, Special Offers and Packages are designed to offer a tremendous amount of savings to our loyal guests during a time when the inn is not generally full. Please keep in mind with each promotional offer there are a variety of terms and conditions that apply. We hope this helps to explain how each of the Terms and Conditions work. 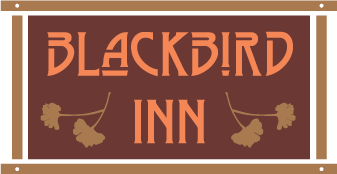 Please contact the innkeeper directly if you have any additional questions. All Last Minute Deals, Special Offers and Packages are only available Sunday through Thursday unless otherwise specified. Certain packages may be available on Friday or Saturday, as specifically stated in the validity dates. Unless otherwise noted or approved by the General Manager blackout dates include Thanksgiving week, Christmas to New Years week, Martin Luther King Weekend, Valentines Day and Presidents Weekend, Easter Weekend, Memorial Day Weekend, Labor Day Weekend, Fourth of July and special event weekends. We reserve the right to exclude or add additional special event periods to the above list. All packages and promotions are based on availability. Please know that there are a specified and limited number of packages available per night, regardless of actual hotel availability. To guarantee a Last Minute Deal, Special Offer or Package, guests will need to request the offer at the time of reservation and the inn will send a confirmation, guaranteeing the special rate or package offer. Unfortunately, we can not guarantee a special rate or package to be available if mentioned after the initial reservation was made, including pre-check in, during the stay or at check-out. Many of our Last Minute Deals, Special Offers or Packages are developed around specific room types and their respective room rates. Due to this, certain room types are excluded from the package. All Last Minute Deals, Special Offers and Packages may not be combined with other specials offers. If there are numerous packages available during your stay, we are more than happy to determine which offer presents the best value.